This rich, creamy sauce adds amazing flavor and depth to menus. 1. Place shallots, garlic and wine in a saucepan. Bring to a boil and reduce heat to a simmer. 2. 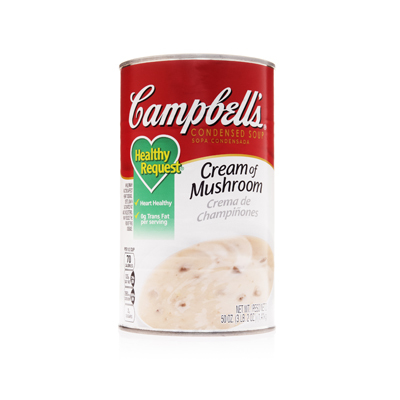 Add water and Campbell’s Healthy Request Cream of Mushroom Condensed Soup. Bring to a boil. Reduce heat to a simmer for 3-5 minutes. 3. Blend the mixture and slowly add in butter a few pieces at a time. 4. Add the cheese and serve warm. Great with chicken, pork loin and tenderloin, dry cooking cuts of beef, seafood and fish. Also wonderful to use with vegetables served over rice. 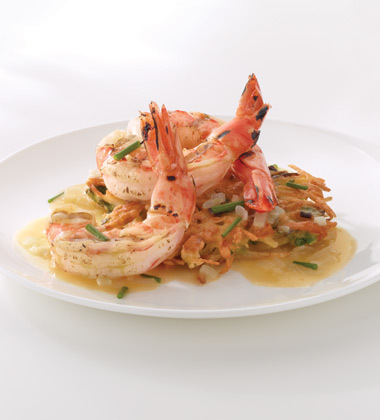 Great with seafood and fish. Can be good with pork, chicken and pasta.